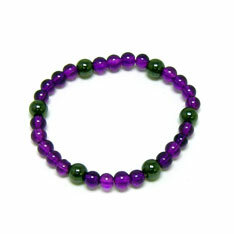 The power of magnetic beads has been discussed for ages. We know very little about the power, but we loved the looks of these power beads, inviting some interpretation from the wearer. Sold individually. Blister packaged. 12 count display box. This item is sold by the individual piece, but comes packaged by the dozen. If you want the packaging please order at least a dozen. $1.15 each for 144 or more. $1.05 each for 288 or more.